Post-traumatic stress disorder (or PTSD) is a psychiatric condition that can develop after witnessing or experiencing a traumatizing event. Roughly 7.8 percent of Americans experience PTSD during their lifetimes, and there are several treatment options available. Many PTSD sufferers are finding relief from CBD, or Cannabidiol, a natural supplement derived from Hemp or Marijuana plants. CBD does not have psychoactive effects and it won’t get you “high,” but it offers a wide variety of potential medicinal benefits. Read on to learn about PTSD, and how CBD oil may be able to help. PTSD typically occurs after witnessing or experiencing a dangerous or terrifying event. Common events that can trigger PTSD include military combat, natural disasters, life-threatening or severe accidents, terrorist attacks and assault. Those who suffer from PTSD may still feel the stress of these events, and for some, it becomes more intense as time goes on. While PTSD is a psychiatric condition, it is also associated with physical symptoms like sweating and rapid heart rate. PTSD can have an impact on family life, personal relationships, ability to work and other areas of everyday life. In some cases, PTSD may also increase the likelihood of developing substance abuse and depression. PTSD sufferers can often feel fearful or stressed even if there is no danger present. It’s important to keep in mind there are many symptoms of PTSD, and it can affect everyone differently. Symptoms typically begin within three months of the traumatic event, but they can also develop many months later. PTSD is often diagnosed by a psychiatrist or psychologist, who will likely ask questions about symptoms and past experiences. If you experience the following symptoms, you may want to speak with a mental health professional about PTSD. The goal of PTSD treatment options is to relieve the stress associated with the traumatic event, help improve self esteem and promote healthier thoughts. While there are different methods of treating PTSD, the two most common are therapy and medications. Therapy involves speaking with a mental health professional about PTSD with the objective of improving thought patterns. In a therapy session, many aspects of the PTSD stress may be discussed including the traumatic event itself and the negative thoughts or symptoms that have developed since then. PTSD therapy can involve individual sessions, or group or family therapy. PTSD therapies are commonly Cognitive Behavior Therapy, which aims to adjust thought patterns, or Cognitive Processing Therapy, which may involve writing about thoughts and reactions. In some cases, the symptoms of PTSD can be managed with medications. A doctor may recommend pairing the medication regimen with therapy for long-term success. Medications may help restore healthy chemistry in the brain to relieve feelings of fear and reduce the occurrence of flashbacks. A doctor may prescribe SSRIs, SNRIs, MAOIs, benzodiazepines and more. It’s important to note these medications are often associated with harmful side effects which can affect both the body and mind. For PTSD sufferers who are currently taking medications, it’s recommended to speak with a doctor before taking CBD Oil. As mentioned, CBD Oil is derived from Cannabis plants. Because it contains zero or only slight traces of THC, it does not cause a “high.” CBD is a prevalent compound that can deliver powerful medicinal benefits, and it has seen success in helping to treat many conditions including insomnia, anxiety, chronic pain and more. CBD is a complement to the body’s Endocannabinoid System (or ECS), which contains a network of cannabinoid receptors. The ECS is responsible for regulating systems in the body like mood and natural sleep cycle. Even though CBD Oil has no psychoactive effects, it can help relax the body and mind into a state of calm. CBD Oil has the potential to target PTSD by helping to regulate mood and relieve fear. PTSD is commonly associated with mood or behavior changes, and CBD Oil can help provide balance and a sense of stabilization. CBD Oil is also known for its anti-anxiety properties, which can help relax the body and mind and calm anxious thoughts or negative thinking. For PTSD sufferers who also experience difficulty sleeping, CBD Oil can help promote deeper, more restful sleep. Unlike traditional medications, CBD Oil is not linked with any harmful side effects or overdose. As a natural remedy, it does not leave a “groggy” or “drugged” feeling. When it comes to CBD Oil dosing, there is no black-and-white answer. Depending on many factors including age, physical size and severity of condition, CBD Oil can affect everyone differently. It’s recommended to start with a small dose, like five to ten milligrams. The dose can be gradually increased until desired results are achieved. 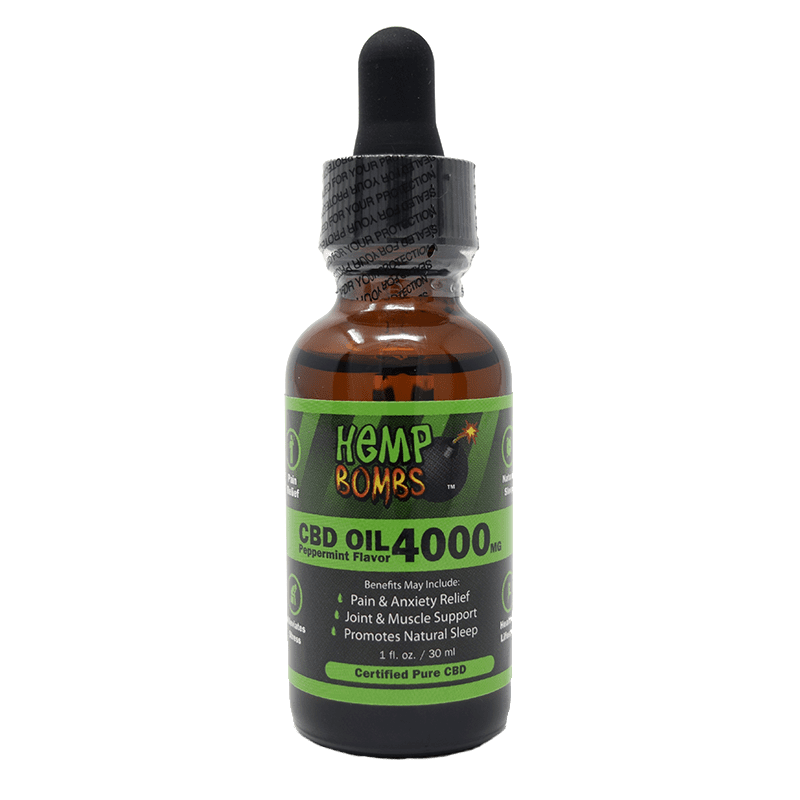 Keep in mind CBD Oil products are available in different potency levels, so a few drops of one product may contain a different dose than a few drops of another. For best results, CBD Oil should be taken daily and consistently. It is commonly taken one to four times daily. 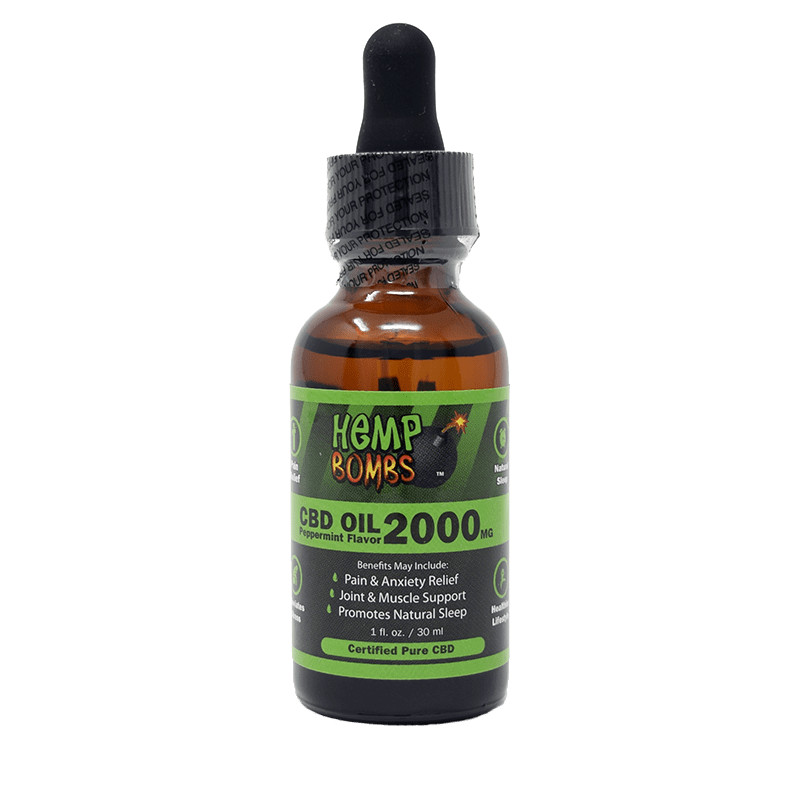 CBD Oil is one of the most popular and well-known CBD products. CBD can also be taken in other forms, including CBD gummies, CBD capsules, CBD syrup, CBD vape and more. Different products are available to accommodate for varying preferences in method of consumption, taste and dosing. Just like CBD itself affects everyone differently, some people may find more relief from certain product forms. If you’re new to CBD for PTSD, it’s a good idea to try different products to determine which works best for your health needs and lifestyle. It’s also essential to compare CBD isolate and full-spectrum products. CBD Isolate is federally legal, and it contains zero traces of THC. That means it will not cause a failed drug test. Full-spectrum CBD, on the other hand, contains trace amounts of other cannabinoids, often including THC. Its legality varies from state to state, and it could result in a failed drug test. 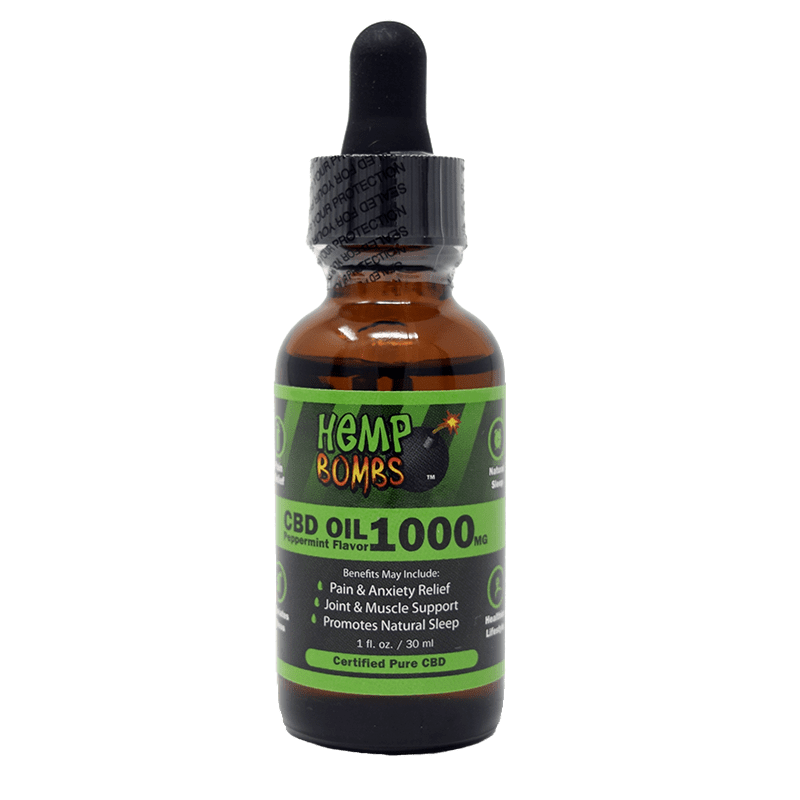 Hemp Bombs CBD Oil contains CBD isolate which is derived from organic, premium-grade Industrial Hemp. We verify the purity of our products through a third-party lab. 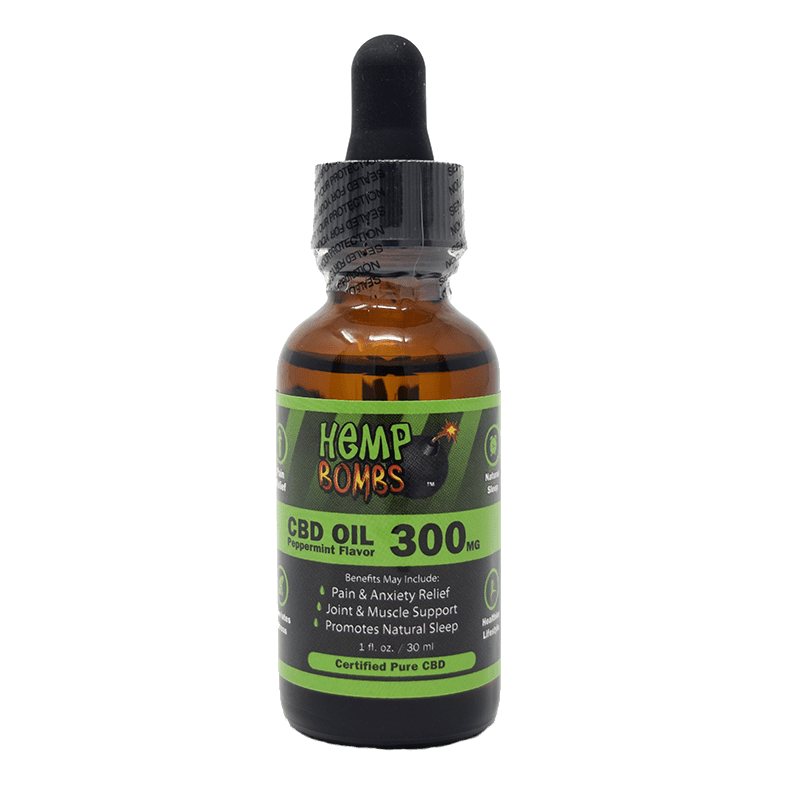 Established in 2016, Hemp Bombs is a trusted name in the CBD industry and we proudly deliver excellent customer service and a guarantee of quality for our CBD Oil. If you suffer from PTSD and have interest in trying CBD for natural relief, shop our CBD products.